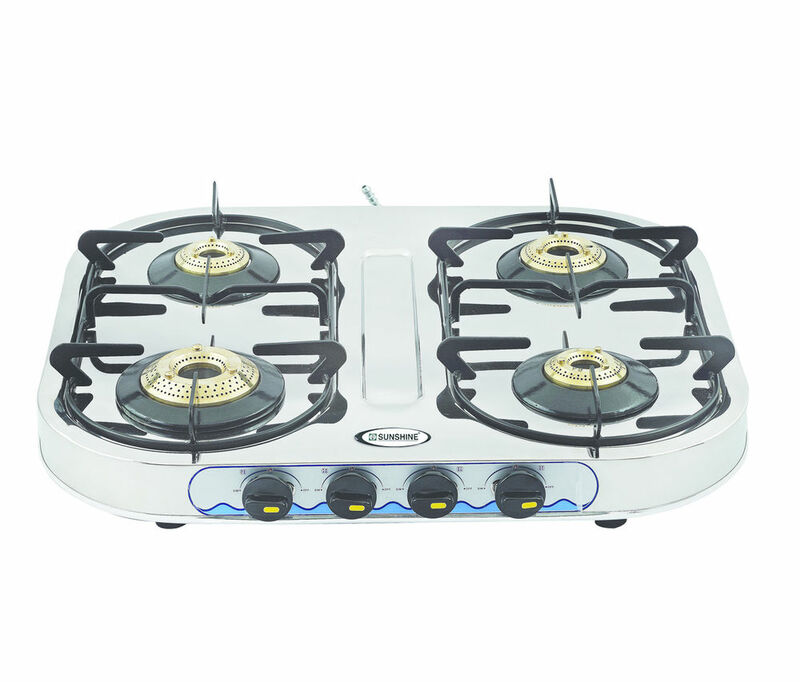 Sunshine present the Skytech Four Burner Stainless Steel Gas Stove the gives your kitchen a trendy look. The four burner SKYTECH model, with its sleek and elegant aesthetics, is the perfect companion to smart and healthy kitchen. 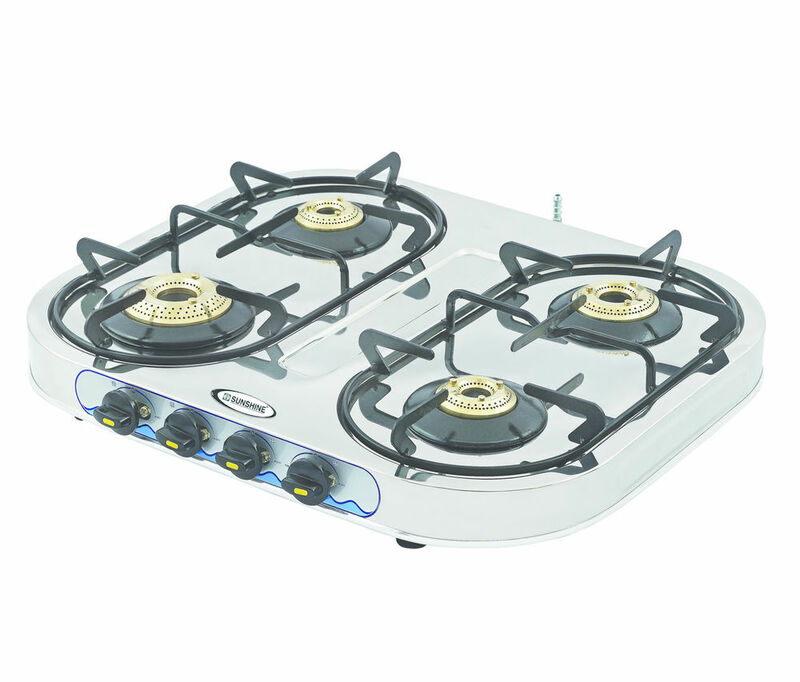 The unique design of pan support facilitates easy movement of vessels from one burner to the other.